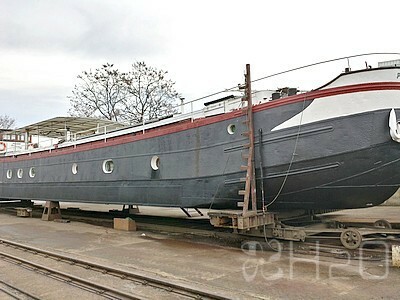 Automoteur boat from 1956. Completely converted. 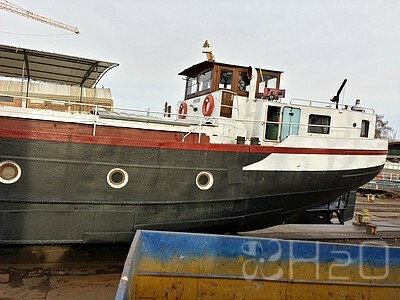 Spacious and confortable barge, ideal as a main residence. 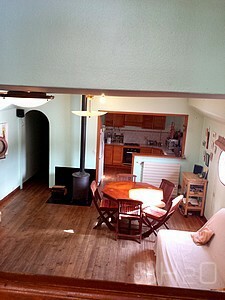 Sleeps 6 people, 3 cabins. 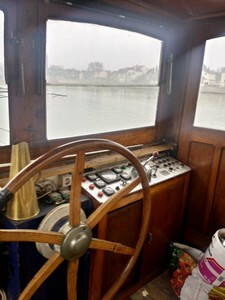 Wheelhouse with steering position. 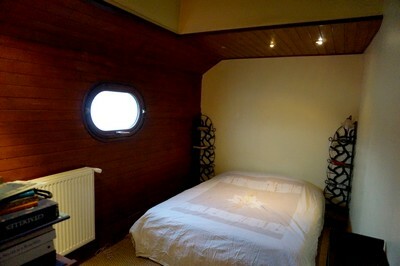 Aft cabin double bed and bathroom wtih bath and toilet. 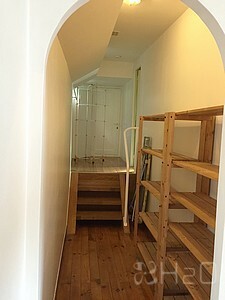 Entrance on living space by central deck. 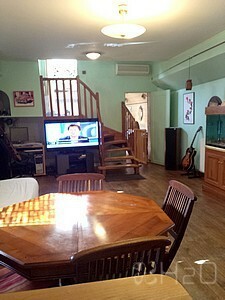 Spacious and light salon, dining room and fitted kitchen. 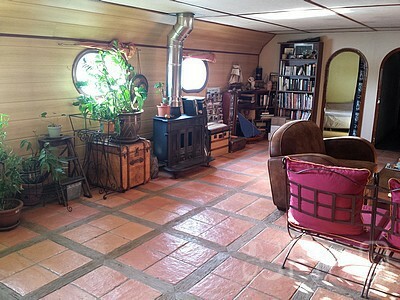 Two cabins with double bed. 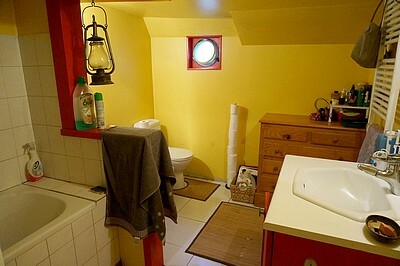 Bathroom with bath and toilet. 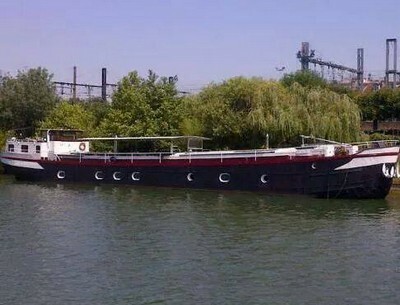 Mooring in the Paris suburbs, located about 20minutes from the "Gare de Lyon"
2 toilets. 2 baths. Fuel heating with 11 radiators. Air conditionning in living space. 220V, heating and solar panels hot water boiler. Hob, 3 gas rings and 1 electric. Oven. Grill. Microwave oven. 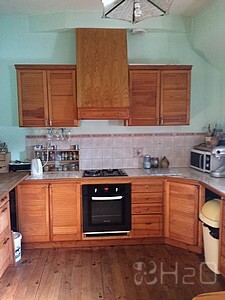 Extractor hood. 220V fridge. Steering position. 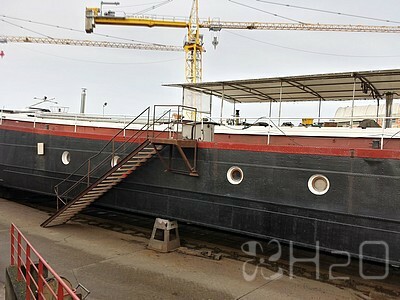 Wood and steel gangplank. Deck with bimini. Horn. 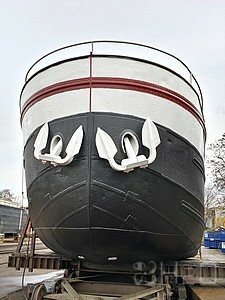 Front and aft anchors. Dinghy. Navigation lights. 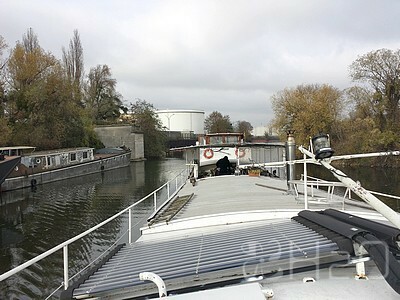 3 bilge pumps with alarms. VHF. Rudder indicator. Double glazing. GM 146hp Diesel. Shower. 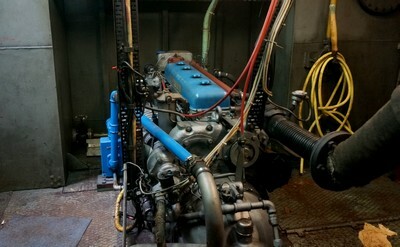 Generator 6kW. 95ah Service battery. 2 x 180ah engine battery. Automatic battery charger. Differential trip switch. Solar panels. Last hull survey in 2013. 2 x 2000L heating fuel tank.